Like how the neon glow animate. Perhaps you could post screenshots or perhaps try to ask about it @discord? Seems that model need a bit of fixing in blender, that sometimes happened. Just the other day the same thing happened with one of the model in Ascension final map. Good thing the model creator, WingedArchon fixed it. Alternatively you could try attaching a dummy actor to said model. I think there is a tutorial for that here somewhere. If I missed any kindly let me know and I will update the list. EDHRIANO posted a message on [Announcement!] MAPORINO 2018 ! MAPORINO 2018 videos update, get them while they are fresh ! Hi. I played the las mission. - The turn of units mess the cinematics. Ill send you some pictures on how to fix that. - The boss was... to be honest was pretty easy. i didn't use those healt/energy items. 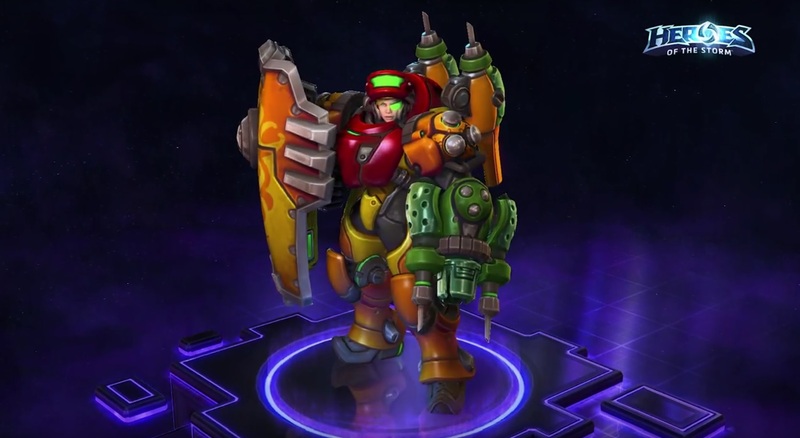 maybe make her summon units like stukov did with the spawn infested terran ability. - The happy end is very.... happy. But end with the initial frase of the first mission. Yet the sad end dosent..... a weird cut of the pirmary line of yours story. Water ripples are "terrain squibs" which are set in actor data. Look at unit actors that already have them for reference. and as promised, an update on Sin-Ar. Still some effects to be sorted out and not all animations are accounted for, but I'd say she's about 85 / 90% complete. I should mention, the teamcolor used in the images is Orange and affects the blade and backplate spikes, however some crystals on her armor are plain RGB orange. Mangmury posted a message on [ Solved ] How to make missile / projectile come out from weapon left / right at the same time? Aha234 posted a message on Blizzard looking for co-op game designers! Some "amateurs" on this site are better at making maps than blizzard. Played it on normal, lost when reached 1st base because I ordered all units to storm it and there was a reaver. On 2nd playtrough every time I saw a structure I'd send out DTs to stasis detection (cannons) -> stasis pylon powering detection and kill everything. One possibility of mitigating reaver deadliness on easy and normal difficulties is giving players vision of outposts when they approach them. That way they know that there are such and such units there and can have easy time to plan accordingly. Overall difficulty seemed okay, nothing relevant stood out in a bad way. Ah ha! its done! I now truly understand Jayborino's hate for reavers! I had lots of fun (exept for when the reavers appeared) I liked pretty much everything although i feel alarak should have killed more than just 3 cores that day. Well that's all hope it was helpful, sorry if it was a bit too nit-picky or whatever. I don't feel the reavers are too terrible to deal with, buut the 9 range (compared to your max range of attacks abilities of 6 and sight of 10) means that you're going to get surprised a ton). Attack speed is the wrong nerf, and is relatively meaningless imo. I'd much rather have a flat range nerf and re-positioning across all difficulties so a) that there's some time to react b) you can see them before they start their attack animation (looking at you, left base reaver). Alarak charge->push->flee. I showcase this method at 4:00 to destroy the cannon. Note that alarak only takes 1 hit. Downside is that reavers will move a long way before heading back, can be a bit of a surprise. The boss melts to blood hunters. Overall, a bit too reliant on reavers to slow the pace of the mission down.